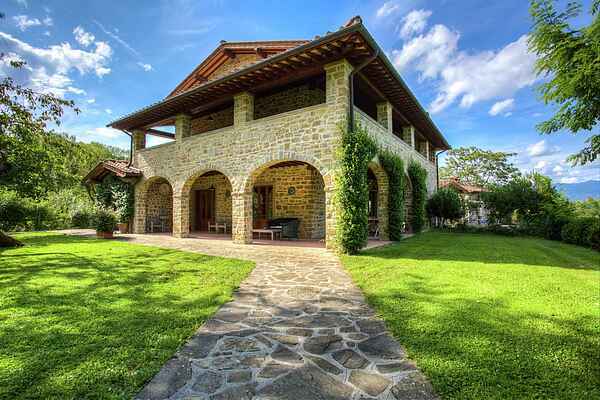 This rustic farmhouse with swimming pool located on the beeches of the Casentino region. You have a breathtaking view of the valley. The nicely furnished apartment is on the ground floor. There is a large loggia with garden furniture, ideal for enjoying the outdoors. It is a wonderful place to relax, to rest and to visit the beautiful cities and hiking. The owners have two large stores with Italian designer clothes. Ask for it because many brands have guests of this holiday home for a special price.